Here's a selection of project work that kept many of you busy and in some cases led to careers and life long passions. Here's a picture sent in by Sue Burton taken with a four students participating in the Duke of Edinburgh Award Scheme. 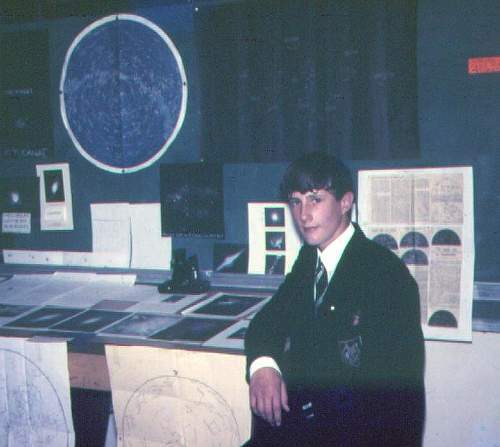 On reading Ken's article in the echo Leslie Bradshaw asked him to put on an Astronomy display for the school open day, once in 1966 and again in 1967. 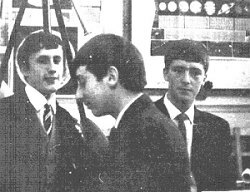 Were you involved in the school open days? If so then please write in to the Webmaster. Thanks to Ken for the articles. 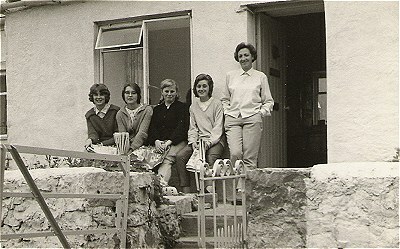 Here's a picture taken by Ken Clark's dad at the 1967 Open Day. Ken still has the school tie (a treasured possession) shown in the picture. Ken and Ronnie will be at the reunion in July.